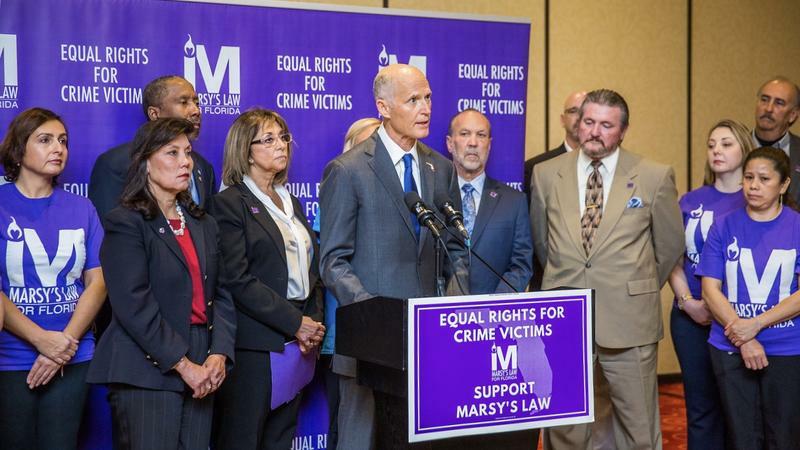 What Does Marsy's Law, Amendment 6 Mean For Florida? Miami-Dade County State Attorney Katherine Fernandez Rundle supported the passage of Amendment 6, which included a crime victims rights provision called Marsy's Law. Floridians passed Amendment 6 this past election. It was one of those bundled amendments that sandwiched together questions about judges with what’s known as Marsy’s Law. Listen to the Jan. 11, 2019 episode of the South Florida Roundup here. The segment on Marsy's Law begins at 24:00. 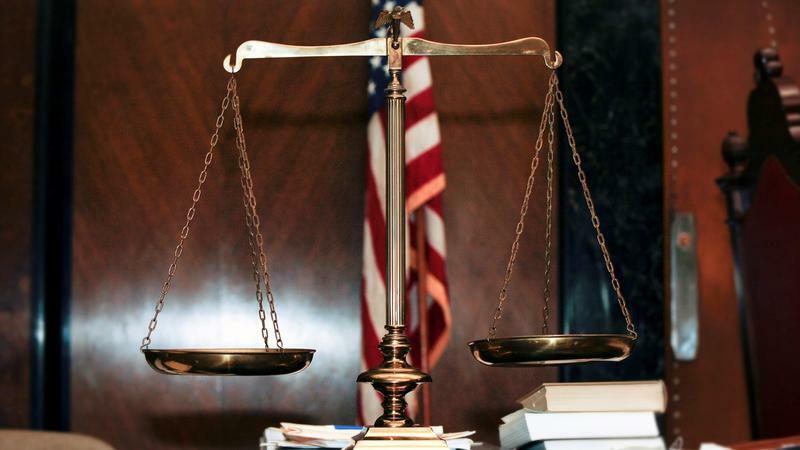 The law is a version of one that’s been passed in several states and adds a more detailed list of victims rights to the Florida constitution. Despite that detailed list, everyone from public defenders to sheriffs to Department of Corrections find the law to be vague. Miami-Dade County State Attorney Katherine Fernandez Rundle supported Amendment 6. She was joined by host Tom Hudson on the South Florida Roundup, along with WLRN reporter Danny Rivero and Carolina Bolado, who covers Florida courts for Law360.com. KATHERINE FERNANDEZ RUNDLE: My view of this is that it doesn't infringe. I think that the concern is it's going to be more work. WLRN: More work in terms of notifications? RUNDLE: In my office, we've been doing this for years. And so my view is more work? Well, you know what, that's O.K. The truth of the matter is that case after case it was very dependent on the judge, and I have a prime example of where two girls who had been sexually abused by someone lived in different parts of the state of Florida. Sentencing came up for the accused. They got in their cars at like 5 o'clock in the morning to drive down to Dade County to go to court and stand in the courtroom – which is really hard to do and tell the court and everyone that's listening how that crime, how that person impacted your life and how you're traumatized. They got all the way into the court and the judge just looked at them and said I know exactly what you're going to say. I don't need to hear from you. So what this really does – yeah, they had the right to be there – but there's a right here that's under the state constitution. Do they get three minutes to address the court? Five minutes? Ten minutes? Six hours? RUNDLE: It's like anything else. What's reasonable. The difference is the constitution is a higher right than just a state statute. And so a lot of this may just be the ability to argue and advocate better for the victims. It may be the ability to make sure that the victims feel that they are a respected integral part of the whole criminal justice process. It is by no means intended to impede or infringe on the accused rights whatsoever. CAROLINA BOLADO: I'm curious to hear your thoughts about the provisions that what civil rights advocates have told me is the most problematic is the caps on appeals for death penalty cases. The law caps appeals for death penalty cases at five years and for non-death penalty cases two years – which seems fast. And Florida leads the nation in exonerations from death penalty cases. RUNDLE: We couldn't agree more. In fact when we were working with the Marsy's folks from around the country, we looked at that provision. And Dade County, as you might imagine, they wanted a shorter period. I believe it was two years. I don't have that front of me. We said that's impossible. So what we did was they extended some of the period of time and they added language. I don't have it in front of me, but I believe it says "unless otherwise necessary." There is sort of that escape clause. If you need more time on these appellate issues, you get more time. We all want that because that's just not only the right thing to do but we're just going to be burdening a system that's going to lead to more post conviction appeals anyway. DANNY RIVERO: Something that I've heard from advocates and civil rights groups that concerns them is they're looking at how this has been implemented in other states. In somewhere like South Dakota, they passed an amendment a couple of years ago. They ran into issues because they interpreted a victim to mean like a business. So if a corner store was robbed, the interpretation they took was O.K. well now we need to protect the right of the victim – the store – and shield some of that information. The police departments couldn't say the corner store on Eighth Street got robbed so they couldn't get tips back. It actually became an issue for law enforcement because they couldn't share basic information. This is a provision of the exemption of personal information from victims or of victims in these public files. If the victim is a business or a location as opposed to an individual. RUNDLE: I have heard that the person would now include corporations. It's always been that way in the law. A person has always included corporations, LLCs and so on and so forth. What the protection is really for a larger audience. The defendant is always – and I feel kind of bad for those that go out there and say, Oh the victims names won't be out there – well, the defendant is always going to receive the name of the victim and anyone else is going to testify against that defendant. They have the right to be confronted by their accuser.